Score Dental and Hague Dental Supplies are delighted to be supporting the Professional Dentistry Show at Olympia on the 25th January 2019. There will be fantastic discounted offers available on the day but bring this voucher below with you (or quote HDS/Score 19) and receive an extra 5% on these prices. Find us on stand G43, next to A-dec. 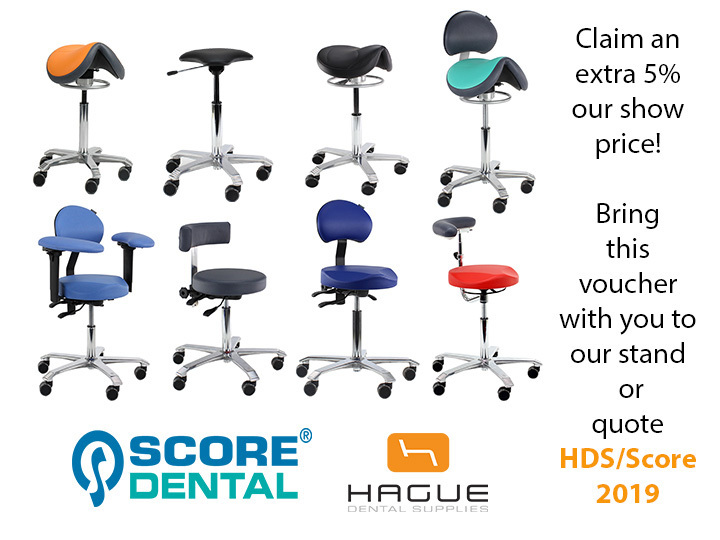 Try out a large variety of stools from Score including their saddles stools for dentists and nurses. Also their popular Ergo Support Stool designed for use with microscopes.